Aizawl, Jan 21 : The Mizoram government has temporarily shelved its earlier scheme to import 50,000 tonnes of rice from Myanmar to deal with the shortage in the wake of the six-month project to lay broad-gauge railway tracks, which began last October. 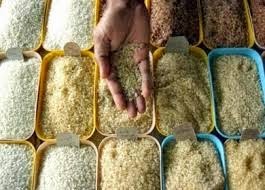 This decision was taken when the Mizoram government had reviewed its rice stock position with the Food Corporation of India (FCI) recently during a meeting with that state government's consultative committee attached to the FCI, a central undertaking, in Aizawl, and found it "satisfactory". Ronald Sapa Tlau, the state's lone Congress MP in the Rajya Sabha and the chairman of the state government's consultative committee to the FCI, said in Aizawl today that as on January 1 this year, this undertaking, despite the difficulty in transporting food by road from two railhead points in Assam in Changsari and Baihata - both near Guwahati - to Aizawl, had "overstocked" its rice import from other states. Tlau said the rice stock in Mizoram is "very much comfortable" with the FCI reporting that as on January 7, it has 2,5939 tonnes of rice as against its capacity of storage at 2,5490 tonnes a month.